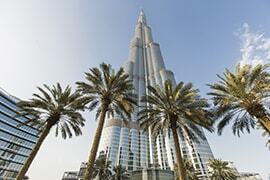 There is no perfect way to get up close and personal with the world’s tallest structure than with Burj Khalifa tour. Make your way to Downtown Dubai and gain access to Burj Khalifa via Dubai Mall. Then, climb to one of the world’s fastest elevator to enjoy an exciting ride way up to 124th floor. Get sweeping 360 degree views of Dubai’s mind blowing landscape from its advanced Observation Deck, At the Top. Capture some amazing pictures and also learn about interesting facts about Dubai’s history as well as this alluring structure on your visit here. Spending whole night in the middle of the desert in a Desert safari camp site is amazing. Get a thrilling experience of desert safari tour with adventurous activities, BBQ Dinner and entertainment shows. After dinner you will stay at the camp overnight to continue the fun. Feel like never before, in the serene beauty of the Desert at night away from the busy city life. Be at comfort with the sleeping arrangements and unlimited tea- coffee served overnight. Add extraordinary amusement and thrill to your Dubai trip’ IMG Worlds of Adventure passes. Visit on your own to this wonderful indoor theme park placed in the City of Arabia. There is something to please every taste in this 1.5 million square feet facility, boasting several remarkable adventure rides and fun highlights in its four unique zones, such as Marvel, Cartoon Network, Lost Valley, and IMG Boulevard. Delve into the whimsical world of your favorite Marvel comics or Cartoon Network characters, and give life to your dinosaur fantasies on your trip here. The name says it all! Enjoy six magical Arabian nights in Dubai taking in its varied gems. 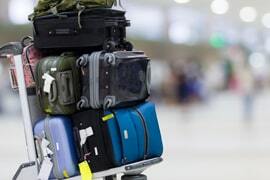 Visit the skyscraping Burj Khalifa, discover the charming historic and cultural attractions, take a dinner cruise, explore the less traveled trails on an enchanting overnight desert safari, and more along with a 4G SIM Card pick up when you are at the airport to stay connected with your family and friends. Know firsthand what makes Dubai one of the world’s most stylish cities, with a well-organized trip to Burj Khalifa - distinguished as the world’s tallest building. Prepare yourself for a marvelous sightseeing experience, as you step into the fastest elevator which directly takes you up to its 124th level observation deck. With its floor to ceiling glass windows and most advanced telescopes, see the whole of Dubai from a perspective that is unrivaled and like no other. Next, embark on a mesmerizing desert safari! Breathtaking desert scenery awaits you as you traverse towards Dubai’s Al Avir Desert. Following a thrilling 4X4 dune bash, you can engage in a diverse range of activities including henna tattooing, camel ride, falconry, capturing souvenir photograph in Emirati costumes, and Tanura and belly dance shows. Besides a lavish BBQ dinner, the most exciting segment of this desert safari is an overnight stay amid the uninhabited dunes in a traditional Bedouin-inspired tent, equipped with all sleeping facilities. Apparently, this trip gives you the unique chance to revel in the exquisite beauty of both desert sunset and sunrise views. 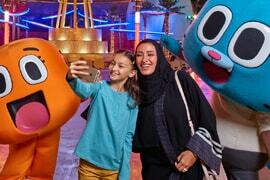 Your perfect holidays further include a visit to IMG Worlds of Adventure, Delivering a blend of entertainment, you’ll be able to discover the fascinating game zones and much more. 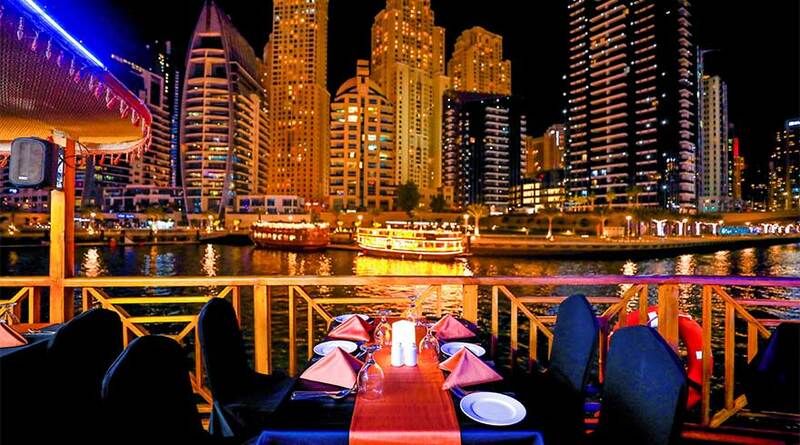 For an unforgettable evening in Dubai, you’ll go on a dinner cruise along Dubai Marina. Marvel at the mindblowing Dubai skyline views as you relish delicious treats and entertaining performances. Another major draw of this package is a city tour which allows you to appreciate Dubai’s most legendary sights in the least possible, from Burj Al Arab, Atlantis Hotel, and Palm Jumeirah to the stunning sights along Dubai Marina and Sheik Zayed Road. 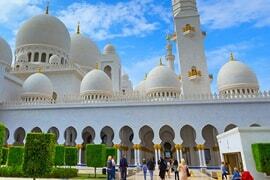 Before your Arabian holiday ends, you’ll also explore the main attractions of the UAE’s capital city; an all-inclusive Abu Dhabi city tour heads you out to Sheik Zayed Mosque, Heritage Village, Emirates Palace Hotel, Yas Island, Date Market etc. I will give this package 10 / 10!!! If I have to pick one best thing about my Dubai holiday, it would be the overnight desert safari. The experience was just incredible. Spending a quiet time under the starlit sky was out of this world. I would love to do it again! This package was worth the money we paid!! I want to thank Rayna Tours for this amazing tour package. While the tours were enjoyable, what really impressed me was the meticulous planning done by Rayna team. We did not face any major problems and the little issued we had were solved promptly. I would definitely choose Rayna Tours for all my future holidays. The Arabian Nights tour package from Rayna Tours turned out brilliant tour that had us cover the must-visit tourist destinations of Dubai. As no tour to Dubai is complete without a visit to Burj Khalifa, we were glad that the tour was inclusive of entry passes to the Observation Deck of the impressive tower. The next highlight of the tour was Overnight Safari. Spending a night in the middle of the desert comfortably tucked into our camp with the open sky above was a surreal experience. As the tour was timed perfectly, we were lucky to participated in Dubai Shopping Festival. In fact, everything from the Dhow Cruise Marina tour, Dubai City tour, and Abu Dhabi City tour was covered in the tour. While Dubai amazed us with its modern architecture, Abu Dhabi impressed us with its traditional Islamic architecture as well as bustling global commercial hub.